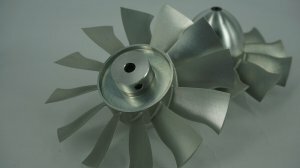 The Top-Design 90MM Ducted Fan Rotor Part Has Been CNC Machined BY 7075 Aircraft Grade Aluminum And Dynamically balanced To Ensure Smooth Operation & Durability. 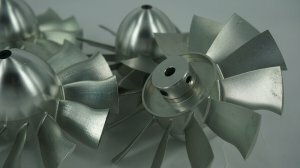 - CNC Machined With 7075 Grade Aluminum. - Suitable For Most 90mm Ducted Fan Housing. 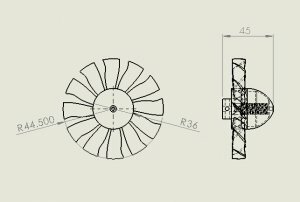 1, Due to this metal rotor part is already pre balanced by factory, pls don't disassemble the Rotor part or take off the spinner part, otherwise the balance work will fail. 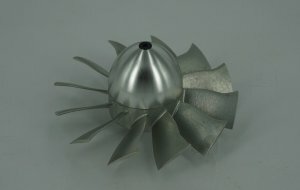 2, Customer may need to drill a hole in the ducted fan housing , in order to lock the whole rotor part with motor shaft. 3, In order to prevent the vibration from the motor , customer better using inrunner brushless motor with this rotor part.